Your retirement savings are critical to your future, and we take that seriously. That’s why we’ve created a service that brings together decades of experience and first-in-class expertise in placing alternative assets within IRAs. We believe that the services we can provide to you are second to none. Security is top of mind for anyone with retirement savings, and especially so for the new world of digital currency. Therefore, when we set up our service, it was our top priority to ensure the security of your nest egg. We believe that we have succeeded in doing just that, which is why we like to call our solution "The World's Most Secure Digital Currency IRA". At its core, our solution protects your assets with end-to-end insurance while in storage. No other company offers this feature. Additionally, your cryptocurrencies are held in multi-sig wallets on your own personal hardware device, and in true cold storage. That means your wallets are completely disconnected from the Internet, with no possible way for hackers to access them. It's due to these strict standards that the Merkle has written, "BitIRA is seemingly ahead of its competitors in this space as of right now." Finally, we don't just hold our storage solution to the highest of standards; it applies to ourselves as well. That's why we voluntarily registered as an MSB (money services business) with the Financial Crimes Enforcement Network (FinCEN), a branch of the U.S. Department of Treasury. As one of the few Digital Currency IRA companies to take this step, BitIRA submits itself to the stringent guidelines that FinCEN sets for institutions that deal with the transmission of money. Click here to compare us to the competition. It isn't very common knowledge that you can put a variety of alternative assets in your retirement, such as real estate, precious metals, private placements and more. This is allowed under the rules of self-directed IRAs, which only exclude certain types of investments. 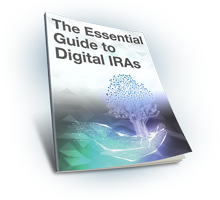 When the IRS designated digital currencies as personal property in 2014, Bitcoin and other digital currencies immediately became eligible for placement within a self-directed IRA. BitIRA works with Preferred Trust Company (PTC), a licensed trust custodian that specializes specifically in self-directed IRAs. As your custodian, PTC knows precisely how to manage the administration duties of your retirement account in order to ensure that your IRA remains IRS-compliant. Additionally, all cash deposits with PTC are insured up to $250,000 per account. The team at BitIRA has years of experience helping Americans purchase alternative assets for an IRA, so we can help you every step of the way. Our Digital Currency Specialists have the knowledge and know-how to get you started, and will be there to execute any buys, trades or liquidations on your behalf. Additionally, our team of dedicated IRA Specialists will provide full-service assistance in filling out paperwork for your new custodian, plus work with your old custodian to roll over your IRA, 401(k) or other eligible retirement account. After the first transaction, our work is not done. We are always here to answer your question on digital currencies, help you understand the details of your IRA account and assist with any additional transactions. Finally, we don't just hold our storage solution to the highest of standards; it applies to ourselves as well. That's why we voluntarily registered as an MSB (money services business) with the Financial Crimes Enforcement Network (FinCEN), a branch of the U.S. Department of Treasury. As the only Digital Currency IRA company to take this step, BitIRA submits itself to the stringent guidelines that FinCEN sets for institutions that deal with the transmission of money.